Aging Research Products | BioVision, Inc. Aging is an accumulation of changes that happen in an organism over time. It is not the cause but the effect of many physiological and psychological changes as we age and some of these alterations can be signs of disease. Some changes are easily visible, for example grey hair and wrinkles on the skin but some are more intrinsic like slowing down of metabolism, neurodegeneration and memory loss, oxidative damage to cells and tissues, cardiovascular changes, decline in bone density, visual acuity and so on. 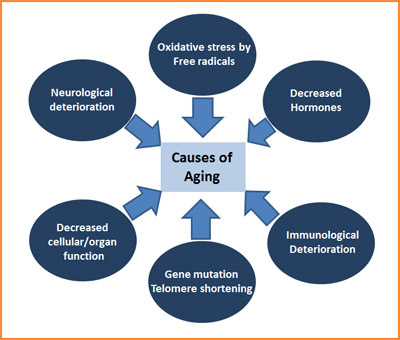 BioVision offers research tools to study every aspect of these changes so that the cellular signaling pathways involved in aging can be understood better for improved disease interventions.